The introduction of the new legislation is intended to save lives, we are already aware of the dangers that a potential fire in a residential rented property can cause, however, many landlords remain oblivious to the danger posed by Carbon Monoxide. Active Or Passive Property Investment Methods? Active Or Passive Property Investment Methods – Which Works Best For You? 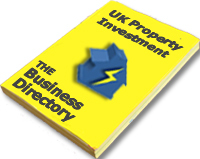 There are many different approaches to property investment and a multitude of different methods and strategies that can be employed to generate profits from property, but which style of property investment methodology works best for you? 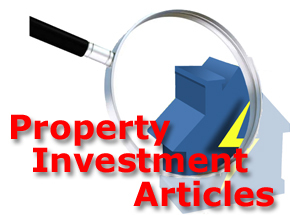 Active Or Passive Property Investment? – Which Works Best For You? There isn’t enough room on this post to go into a great deal of detail about each and every different property investment method and strategy in use today, so we will just stick to a more broad descriptive about the advantages and disadvantages of active and passive property investment methods and we will focus on only the main points. It was widely expected that UK private rented sector (PRS) rental prices would increase during the course of 2015, due to the lack of available rental properties on the market and continued strong demand from prospective tenants. However, research by HomeLet found that the pace of rent rises had begun to slow in the three months prior to August 2015. Average PRS rental prices being charged to new tenants were only 1.6% higher than they were at the start of the year compared to the 2.2% rise that had been observed during the three months to August 2015. PRS rents remain considerably higher than they were when figures are viewed on an annual basis, with average rental prices reaching £992 (GBP) in the three months to August, 10.5% higher than August 2014.